Pretty in Pink-ish !!! Wait until you step inside this home and its phenomenal back yard. 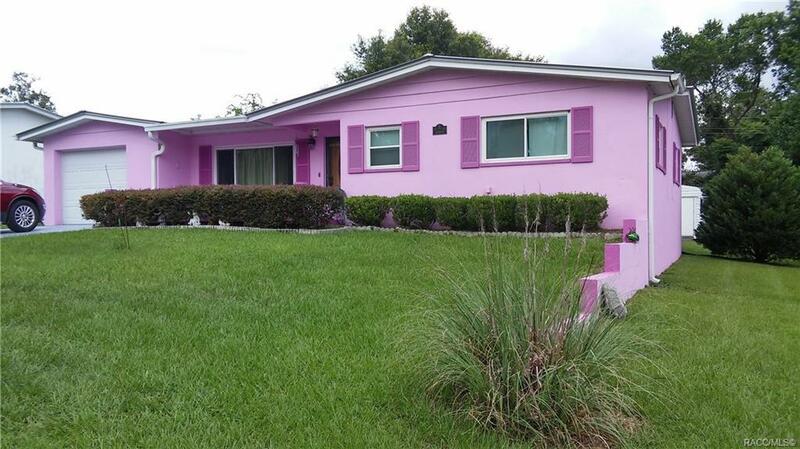 2 bedroom, 2 bath home with a living room, dining room, Florida room and yet another sun room. This home even has an entire room dedicated as a laundry room. All this under a newer metal roof withextra attic insulation, updated electric, new vinyl windows, all newer appliances a brand new water heater, and NO CARPET. ALL TILE. OK, now on to the beautiful resin fence enclosed in ground pool, deck, and backyard gazebo. Oh, did I mention the alarm system and new septic? Want to impress your buyer? Directions: 491 S To Left On Beverly Hills Blvd. Beverly Hills Blvd To Right Onto S Columbus St. Home Up On The Right.